We believe that women suffering from mild to moderate mental illnesses deserve effective, non-clinical mental health programs. We also believe that behind every successful woman is a tribe of women who encourage, motivate, and celebrate her. Finally, we believe that we’re called as an organization to serve and support our community through service projects. 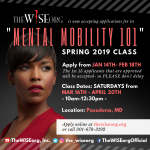 When you donate your time, resources, or money to TheWISEorg, you create opportunities for hundreds of women to receive healing, access unparalleled educational opportunities, and experience wholeness. 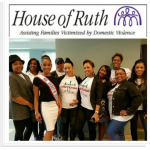 Learn more about our programs, classes, and community service projects. Explore past WISE events and see our community impact. All proceeds go towards our mental health programs and women’s development. 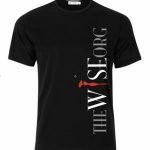 Subscribe to our email list to receive our monthly newsletter along with updates about TheWISEorg!